We are an adventurous family from Surfside, California. We lived in Costa Rica for 6 months to learn Spanish and give our kids a cultural experience outside of the United States. We have traveled immensely throughout Costa Rica and other countries and realized the best place is Hermosa Palms! We love the community feel of Hermosa Palms, everyone who owns and rents here are wonderful people. Surfing is epic most of the year(according to my extreme surfer husband and 3 boys). Our neighborhood is very safe and quiet, too. Beautiful home, beautiful area!! We loved it!! Thank you for an excellent experience. We'll be back!!! We thoroughly enjoyed staying at Casa 27 in Hermosa Palms. The house is incredible; very clean and very comfortable; especially the mattresses. This is our sixth year in Hermosa Palms and it has so much to offer. The pool Clubhouse area is finally completed and is awesome. Yonite's concession at the pool is always amazing with terrific food and many kinds of drinks. We ate many dinners there. We always meet very nice people from all walks of life. 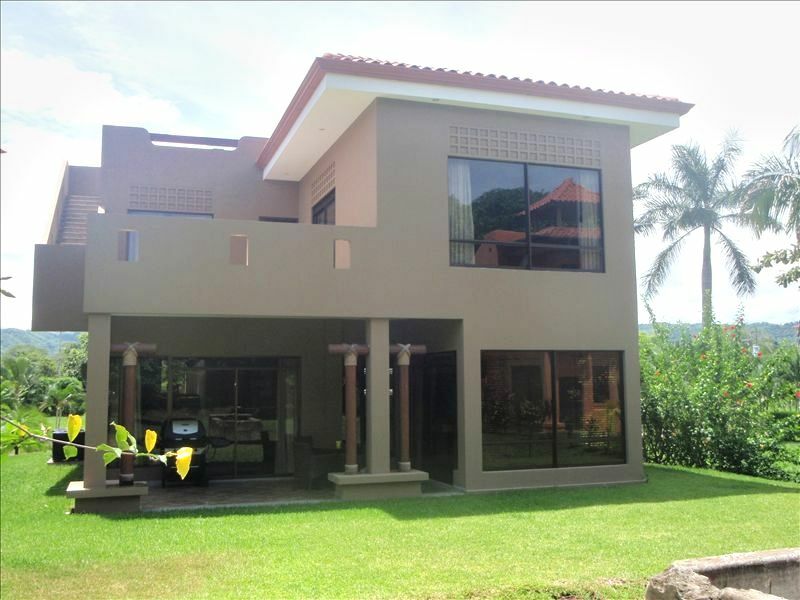 This is a beautiful house near the beach in a wonderful gated community, The house is clean, comfortable and well equipped. I would definitely recommend this house to anyone visiting this part of Costa Rica. Thanks again for a wonderful stay! We thoroughly enjoyed our stay at Hermosa Palms #27. The property was spacious, comfortable, and well equipped. We had access to a lovely pool with scenic beach views. The highlights, were the outdoor spaces, a patio for dining and a rooftop patio for spectacular sunset viewing.